Jupiter (Guru) transit to Libra (Tula Rashi) on September 12, 2017 and remain in untill 11th October 2018. Jupiter transit 2017 in Libra would happen on September 12, 2017, 06:51 Hrs. and remain in Libra in 11th October 2018 19:20 Hrs. It will be combusted from 15th October 2017 to 5th November 2017. Jupiter will turn as retrograde from 9th March 2018 and again become direct on 11th July 2018. This significant celestial development is going to trigger several important astrological changes in the lives of people. Everyone is likely to be get impacted by this astrological transition, it depends on native’s Moon Sign to which he or she belongs. Libra is ruled by the Venus. Venus is a very important planet in the and it holds a lot of importance in Vedic Astrology. Venus represents pleasure of married life, wealth, education and luck. As these significantly determine human destiny, it only reaffirms the importance of Venus in our daily lives. Everyone is curious to know how Jupiter will influence the major areas of life like career, business, finance, marriage, children, and love? From Libra sign, Jupiter aspects 1st (Aries), 3rd (Gemini), and 11th (Aquarius) sign of the Zodiac house. We can see that there are these 3 planets, Jupiter, Saturn, and Rahu – Ketu affecting the same bhavas and Sani (Saturn) transit and Rahu – Ketu transit also will happen. So the effect can be quite intense. Let us analyze even this in detail for each Rasi, so we can know what to expect. Jupiter will transit through the seventh house from your natal moon position it does not give good indications for pleasure relationships with your partner. This may be your life partner or business partner or both. You should keep communication with them. However, the associative influence of Jupiter will work well in preserving peace and happiness in relationships. You should raise the level of compatibility to maintain harmony in the meaningful and close relationship. Jupiter will transit through the sixth house from this sign. It will aspect on the 12th and the second house from Taurus. It’s Influence over the second house, indicates an increase in the inflow of money for you. You may also incline to increase provision for the family. There is a possibility of expenses some ceremony religious in your family or some other ways expenses may occur. Individuals who do the job will feel happy with future growth prospects. Transit of Jupiter will be in the fifth house of this sign and it will be most beneficial for natives of Gemini sign. You will have a pleasant and enjoyable time in personal life. Your social reputation will also be an increase during next thirteen months. The money will come to you with a little bit effort from your part. There will be the strong possibility of financial gains through speculation oriented activities. Jupiter will transit in the fourth house for natives of this sign. Jupiter rules the sixth and ninth house from your sign. Viewing this, you should be careful towards your health and enemies, your luck will be with you in getting a better position in your pursuit. Your efforts will receive appreciation if you are in politics or dealing with the public, you may get benefited. Jupiter will transit in the third house for Leo sign’s natives. The third house represents siblings, short travel, and spiritual messages. Natives of Leo sign may need to provide materialistic assistance to the younger sibling and help them to rise in their career. Businessman and professional guys will get encouraging results from short term travels. They are likely to meet influential people here. Jupiter will now move through the second house, represents finance and family among other things. Natives of this sign may see an increase in family and domestic expenses during Jupiter’s transit in Virgo sign. Handsome monetary gains may also possible for you. The health of spouse may matter of concern. This time will be good for making and saving wealth. Jupiter will transit over the natal Moon here. Jupiter is not in charge of any auspicious house of this sign. However, Jupiter’s transiting through this sign is a notable event. It seems a good time for self-growth, developing a meaningful relationship. Transit of Jupiter in Libra sign is very good for single to get married. Married one will feel happy and contended in marital life. The married couple who are eager to have a child will get blessings of Jupiter moving through their sign. Twelfth house transit of Jupiter will not give good results for the navies of Scorpio sign regarding their financial growth. 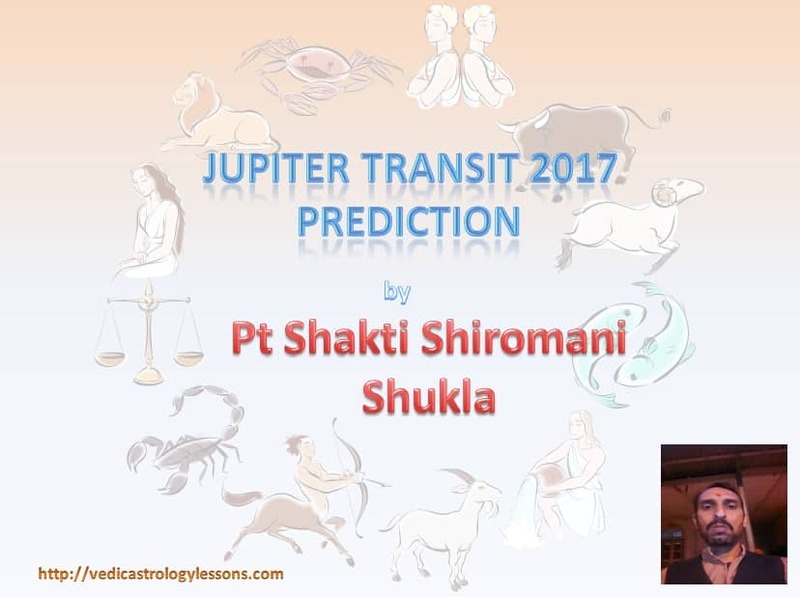 Be careful in taking important decisions related to financial involvement during transit of Jupiter in this sign. Try to avoid speculation related activities. The single one will have to strong urge to enjoying pleasures of physical intimacy with their partners. They will be enjoying the act to fullest. Jupiter will transit on the eleventh house for Sagittarius sign. Lord of Sagittarius sign is Jupiter itself. The eleventh house indicates gains, relationships and about the fulfillment of wishes. Here Jupiter will also facilitate the opportunity to monetary benefits. But, benefits of Jupiter may be slow or you may get some loss during retrogression of it. Jupiter will give mixed results for natives of Capricorn sign. It will be transiting in the tenth house and will give aspect on the second, fourth and sixth house. It shows you will be in the strong position from financial prospects. Native will have assured inflow of money and it will increase. Jupiter is lord of the second and eleventh house for Aquarius sign, and it will transit on the ninth house. Natal Moon will remain under the benevolent influence of transiting Jupiter. This will create the way for self-growth. Native’s social circle will also be expanded and he will gain from his contacts. You may meet some influential persons on any occasion during next year and it will enhance you your prospects. Jupiter is lord of this sign and is also another sign(Sagittarius) which is placed in the tenth house. Jupiter will transit on the eighth house from your sign. It will have aspect on the twelfth, second and fourth house for the native of Pisces sign. Influence of Jupiter over the twelfth house will increase expenses on some ceremonies or function at the same time it will secure your financial interests. Over all, Jupiter will help you to manage expenses comfortably. There will be some opportunities for you to have your own home if you are living in a rented house and if you have your own home you may get a new one. You will save your hard-earned money satisfactorily.